1. 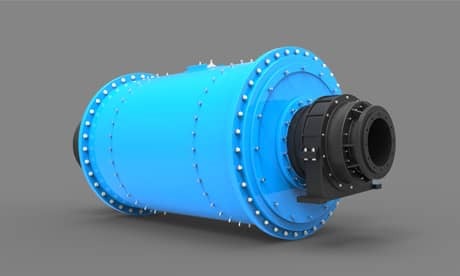 The big gear dust cover of the ball mill must be strictly protected from dust and sediment invasion. 2. If it is found that the big gear and the main bearing may or have invaded the sediment, it shall immediately stop processing and clearing without any delay. 3. When there is a tile burning accident or close to the burning tile, compulsory cooling measures shall be taken immediately. No stopping shall be taken immediately to prevent the malignant accident of "spindle". 4. The regulations of feeding mine, water supply and steel ball should be strictly implemented. Overload operation should be prohibited. Do not allow the empty load to run so as not to break the lining. 5. Screw of fixed ball mill lining should be sealed with hemp ring to prevent leakage and leakage of pulp. 6. The gap between the lining plates is 10-20mm. When the replacement is too tight, it can be cut by oxygen welding. 7. The ball mill shall not start continuously more than twice, and the interval between the first time and the second time shall be more than 5 minutes. The third start must be checked by electrician and fitter. 8. Do not start two synchronous machines when several ball mills are installed in the same workshop.